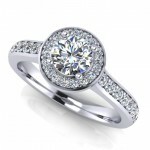 Get a professional consultation to select your Diamond Engagement Ring. 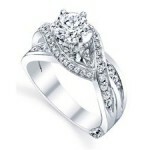 We offer both custom engagement rings and designer bridal rings in Jacksonville, FL. Can’t find the perfect design for the engagement or wedding band of your dreams? 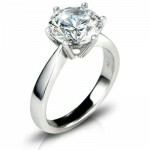 Let Allen’s Jewelers take your ideas and make them a reality with custom wedding ring design. First Image Design specializes in all bridal jewelry and now is also the leader of fancy yellow jewelry, even referred to as the “Kings of Fancy Yellows” by some. As one of the country’s leading suppliers of diamond and colored stone jewelry, First Image Design is committed to excellence and quality. The three main lines are: Fashion, Fancy Yellow and Bridal. Stop by the Allen’s Jewelers Showroom today to see the latest in First Image Design engagement rings and wedding rings selections.